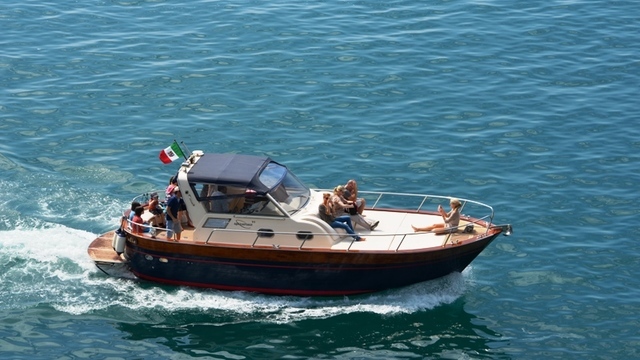 Explore the best of the Amalfi Coast and Capri on a private boat with a local captain. Stop to swim throughout the day, discover the caves(Blue, Green White and Coral Grottos) and rock formations, islands and inlets. Cruise along the coastline, past the bay of Naples (with a fabulous view of active volcano Mt. Vesuvius looming over the bay) and arrive at the famous island of Capri. 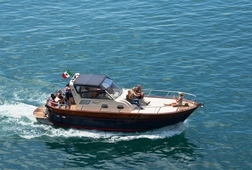 After enjoying the boat and exploring Capri from the sea, you will have some free time on land if you would like. Hungry? The captain will pull up to a seaside restaurant where you can enjoy a local lunch. This day is all about you- relaxing, swimming, exploring and enjoying the boat! Receive special offers, VIP invites and exclusive updates for Positano.